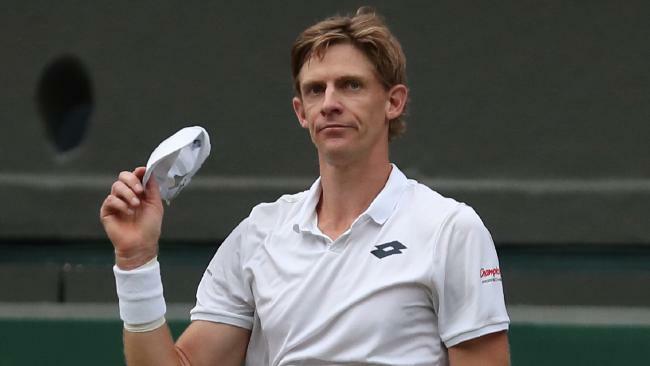 South Africa's Kevin Anderson can barely celebrate after his semi-final win. 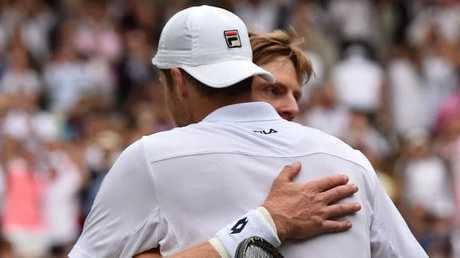 AN EXHAUSTED Kevin Anderson has called for Grand Slam chiefs to introduce a cut-off point for final set marathons, after reaching the Wimbledon final by winning the second longest singles match at a major. Anderson survived an incredible endurance test in his semi-final, beating John Isner 7-6 (8/6), 6-7 (5/7), 6-7 (9/11), 6-4, 26-24 in six hours and 36 minutes. The 32-year-old is the first South African man to reach the Wimbledon final for 97 years. But Anderson has little time to rest his aching body before facing Novak Djokovic or Rafael Nadal in Sunday nights's final. And he made it clear Grand Slam tournament organisers should consider a rule change - perhaps introducing a tie-break at 6-6 - to make the deciding set of five-set matches less gruelling. "I hope this is a sign for Grand Slams to change. For us to be out there for that length of time. 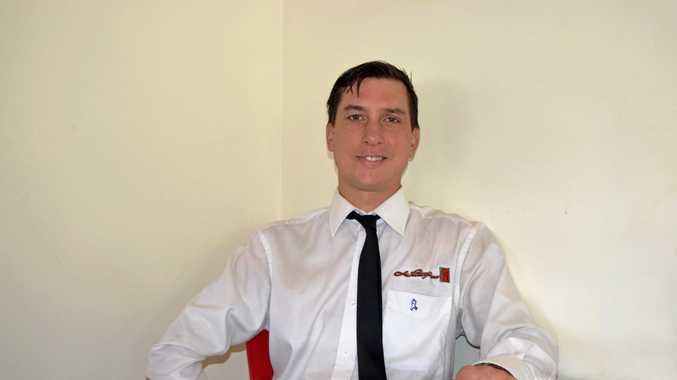 I really hope we can look at this, because at the end you don't feel great," Anderson said. "Just playing like that in those conditions was tough on both of us. If I was on the opposite (losing) side I don't know how you take it. "I have to recover as much as I can for the final now." Isner previously won the longest ever Grand Slam singles match against Nicolas Mahut. It lasted 11 hours and five minutes over three days in the 2010 Wimbledon first round. The 33-year-old agreed with Anderson that all Slams should introduce a tiebreak in the final set and fall in line with the US Open. "I agree with Kevin. I personally think a sensible option would be 12-All," said Isner, who was bidding to reach his first Slam final at his 41st attempt. "If one person can't finish the other off before 12-all, then do a tiebreaker there. I think it's long overdue. "Rafa and Djokovic, I don't even know, can they finish tonight? They're getting on the court at 8.15, whatever it is. We're out there playing for seven hours. You know, it's tough. "I'm a proponent of changing that rule, for sure. I think it needs to be done." Until his semi he had not dropped serve, but Anderson halted that run at 110 service games in the third set. "I feel pretty terrible. My left heel is killing me. I have an awful blister on my right foot. I've felt better before," said Isner, who had also been hoping to be the first American man in a Slam final since Andy Roddick at Wimbledon in 2009. "You know, a few days' rest, maybe more than that, and I'll recoup." Isner said being part of yet another record-breaking match did not help ease his pain. "That's no consolation to me. It's not. I'm not going to hang my hat on that, for sure," he said.